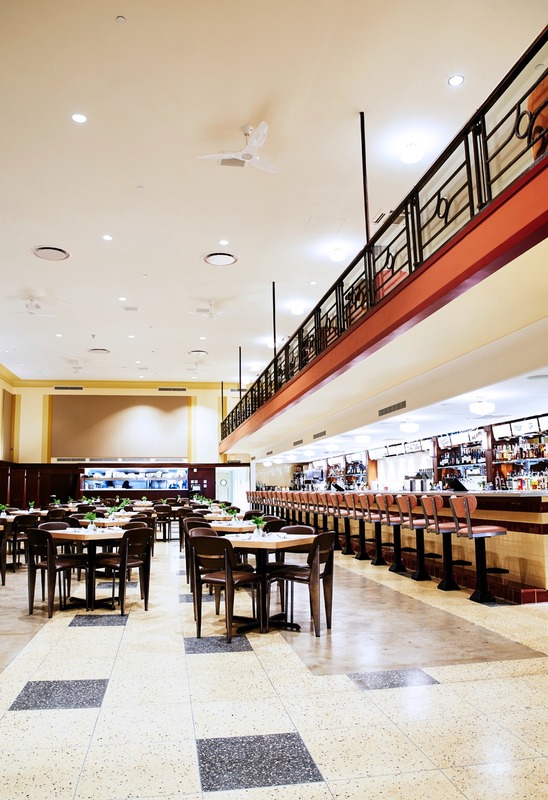 MRM’s Daily Bite features Inspire Brands, TomKats Hospitality, Platterz Inc., Sidell Hospitality and the United States Bartenders’ Guild. 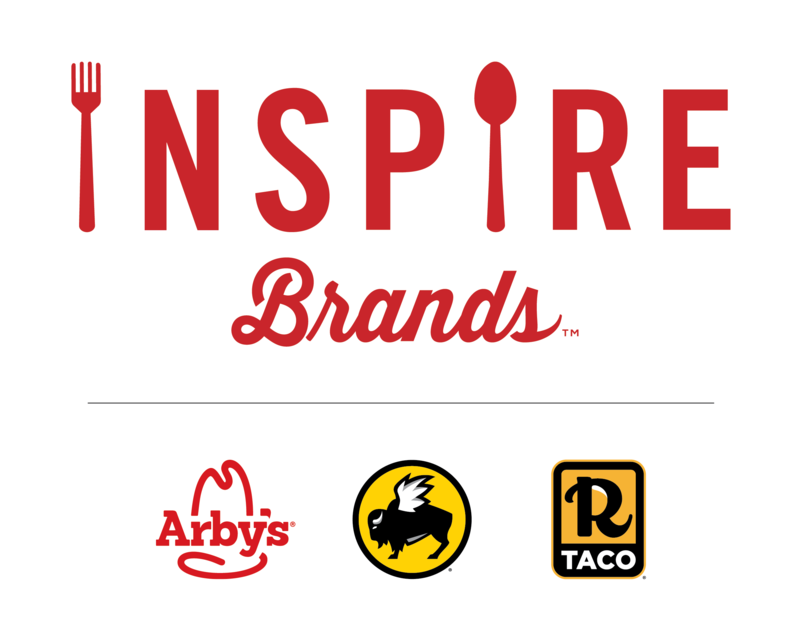 Inspire Brands, Inc., was launched following the completion of a $2.9 billion acquisition of Buffalo Wild Wings, Inc. by Arby’s Restaurant Group, Inc. Inspire is one of the largest owner-operators of restaurants with more than 1,700 company-owned restaurants. System wide, Inspire includes more than 4,600 company-owned and franchised restaurants with more than 150,000 team members across 15 countries. The combined 2017 global system sales of its restaurants exceeds $7.6 billion. The objective of Inspire is to build a family of powerful, distinct restaurant brands that each have high-growth potential, both domestically and internationally. Inspire will be led by a team of executives with deep and diverse experience in the restaurant industry, as well as with other multi-brand organizations. The Inspire headquarters will be based in Atlanta and it will also operate a support center in Minneapolis. Nashville restaurateur Tom Morales, of TomKats Hospitality, opens the group’s newest restaurant project: Woolworth on 5th, located in the historic arts district in downtown Nashville, top photo by Danielle Atkins. 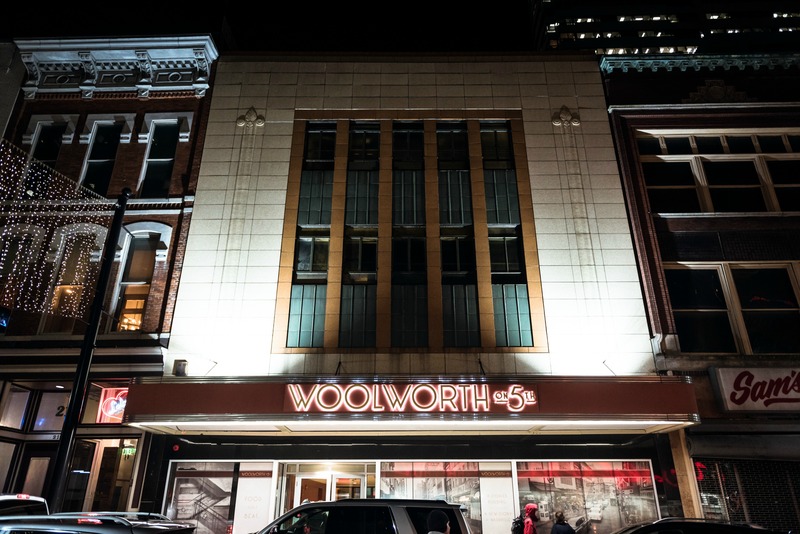 It will reprise the original Woolworth as a restaurant and live music venue that honors the history and events that took place there. Morales and his team began work on the historic space in early 2017, renovating and restoring the building to its original beauty. This restoration follows a number of successful Morales projects throughout Nashville. In 2004, Morales played a role in the restoration and rebranding of the Loveless Café in southwest Nashville. His ventures under the TomKats umbrella include The Southern Steak & Oyster, which opened in 2012 in the SoBro district and now includes the adjacent Southernaire Market. The Southern was followed quickly by the historic rehabilitation of Acme Feed & Seed on Lower Broadway in 2014. TomKats’ most recent project is Fin & Pearl, a sustainable seafood concept that opened in December 2016 in the Gulch. Located at 221 5th Avenue North, the Woolworth building is a registered historic site as part of the Fifth Avenue Historic District in downtown Nashville. One of the original “five and dime” stores, F. W. Woolworth became the site of some of the first lunch counter sit-ins during the 1960s Civil Rights Movement in Nashville. In February 1960, groups of students from Nashville’s Historically Black Colleges and Universities staged sit-ins at the lunch counters of Woolworth, Kress, McClellan, and Walgreens, with the goal of desegregation. After weeks of taking a principled peaceful stand, and after enduring violence and arrests, their voices were heard and Nashville’s mayor agreed to desegregate the lunch counters. Motivated by their success, the Nashville Student Protest Movement continued its efforts to desegregate all public facilities until the passing of the Civil Rights Act of 1964. The new Woolworth on 5th will honor the history of this space by serving as a welcome table for all – an upbeat atmosphere with food, music, dancing that everyone can enjoy. The menu at Woolworth on 5th will explore the roots and history of Southern culinary arts, with ingredients and techniques that can be traced all over the globe, from north Africa to South America. TomKats Hospitality Executive Chef Matt Farley collaborated with Morales to create a menu that is packed with flavor and tradition. The beverage program at Woolworth on 5th is inspired by the building’s previous life as a diner. Guests on the main floor can order from a menu of accessible, soda fountain-inspired cocktails, alcoholic and nonalcoholic milkshakes and floats, as well as a selection of draft beers. 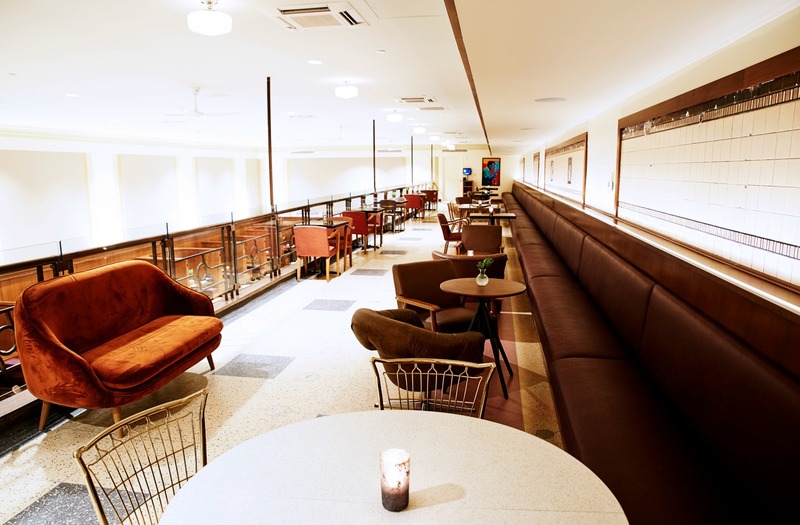 The mezzanine level will serve an elevated menu of wine, beer and elevated craft cocktails. The basement level of the restaurant, known as the New Era Ballroom and open to the public in March, will host a variety of regular music and performance programming. Live music in the New Era Ballroom will explore the sounds of the 1950s, 1960s and 1970s, with a lineup of genres ranging from funk to swing, to gospel, to jazz. Nashville’s first big band, the Downtown Dippers, will reside as the house band at Woolworth on 5th to entertain on a weekly basis. Wednesday nights will feature The Big Idea, a community night of poetry and cultural exploration led by Nashville actor, playwright, and director Barry Scott. Scott will bring an intellectual component to the entertainment at Woolworth on 5th with spoken word poetry and historical performances. Nashville’s F.W. Woolworth department store opened in 1930, in a four-story building on 5th Avenue that was constructed at the turn of the 20th century. F.W. Woolworth occupied the basement level, street level, and mezzanine. Through a massive restoration effort, led by Nashville architecture firm Tuck Hinton, much of the original Woolworth space has been preserved for use at Woolworth on 5th. Elements of the building that could not be preserved were carefully recreated to pay homage to the original space. Existing terrazzo floors in the basement, main, and mezzanine levels were restored to their original glory – with intermittent rectangular concrete bands which lay beneath the store’s merchandise display counters. Original cast iron railings exhibit the geometric ornament that was characteristic of the Art Deco period of the 20th century. Staircases were recreated to match the originals, with stained maple paneling and Art Deco line work revealed in the walnut inlays. Spaced between the wood paneling are new antiqued mirror glass panels. Architectural detail and design elements reflect the Art Deco period. Rounded, fluted plaster soffits outline the ceiling throughout the space. Original tiered plaster pilasters line the walls of the double-height dining room. New dining booths on the main level use same curved details and lines from the Art Deco era as well as hints of the streamlined details from the mid-1960s during the height of the Woolworth diner. New aluminum signage runs the length of the main level bar – inspired by the Woolworth lunch counter. Beautiful vintage 1920s wallpaper and vintage-inspired light fixtures are used in bathroom above colorful Art Deco tile wainscoting. 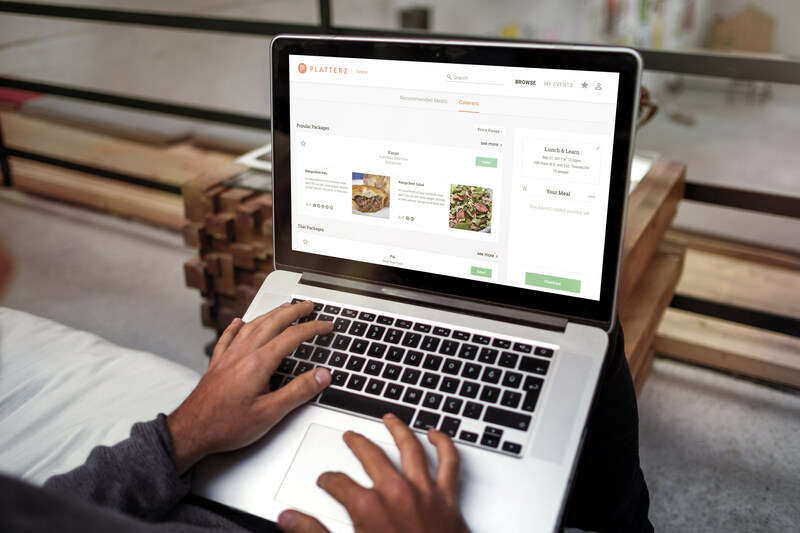 AI-powered corporate catering platform Platterz Inc, closed on $15 million Series A funding round led by Aleph, the investors WeWork and Lemonade. The investment round includes existing investors AltaIR Capital and Globalive Capital. Platterz will use the funds to accelerate product development and global expansion in 2018. Platterz’ proprietary ‘predictive meal builder’ provides on-demand catering options for corporate lunches, meetings and events, leveraging its clients’ headcount, budget parameters and dietary preferences. Through the platform, companies instantly receive personalized quotes and menus from hundreds of top local restaurants and caterers while reducing their average time spent ordering food by 90 percent. With the growing trend of companies investing in office culture and team engagement, Platterz is now serving to thousands of employees across Toronto and New York City. In 2017, Platterz tripled revenues and the team has grown to more than 50 employees. Platterz is used by companies that share its vision for an office culture of the future including top-ranked places to work like Apple, Salesforce and Shopify. “Our passion is all about helping companies build a strong and unique corporate culture by bringing teams and employees closer together. Companies are spending so much time and effort trying to invest in their culture to attract and retain talent. We play a key part in this equation,” said Yishay Waxman, Platterz Co-Founder and President. 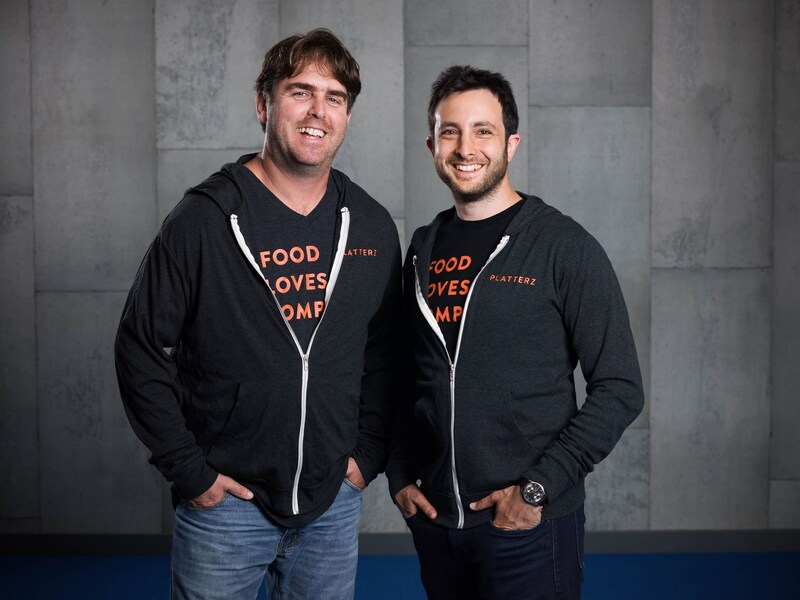 Platterz also announced the addition of Jonathan Zabusky, former President of GrubHub and CEO of Seamless, and Ran Makavy, EVP of Growth at Lyft and former Director of Product Management at Facebook, as advisors to its board. The two senior executives bring decades of ecommerce and marketplace experience that will help accelerate Platterz’ growth in North America as the company moves to replace traditional service models. Following the closing of Platterz’ Series A round of funding, Aaron Rosenson of Aleph will join Platterz’ Board of Directors. “Platterz is growing quickly, with impressive unit economics. The management team is innovative, thoughtful and detail-oriented, thinking years ahead about what it will take to build a meaningful and lasting business in this large and rapidly evolving category. We are excited to partner with them,” said Aaron Rosenson, Partner at Aleph. Platterz was founded by serial entrepreneurs Eran Henig and Yishay Waxman. Waxman was part of the founding team at Jumptap, acquired by Millennial Media for $225 million in 2013. Henig most recently built and sold Tradyo to Torstar’s Metroland Media Group in 2014. Two of the largest forces in the Boston restaurant scene joined forces to create a new hospitality group. 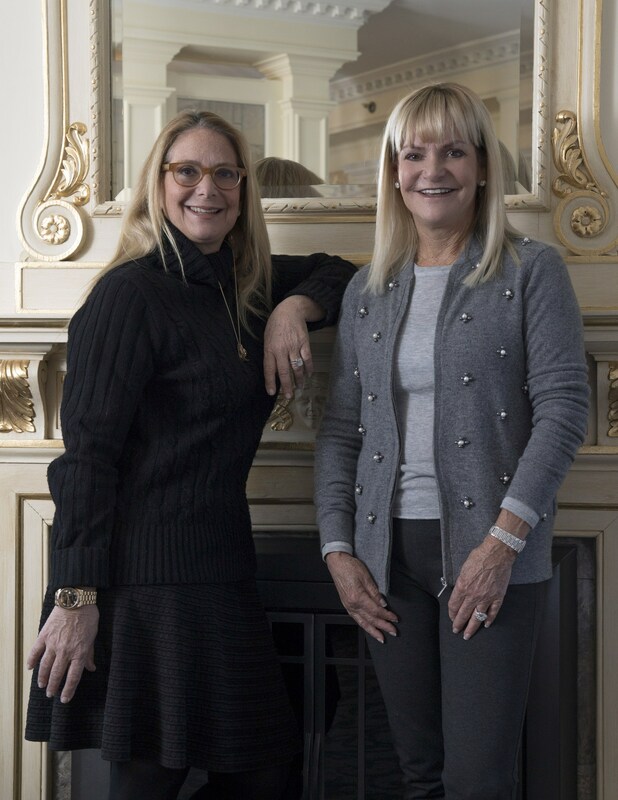 The sister duo of restauranteurs; Kathy Sidell, of The Met Restaurant Group and Stephanie Sokolove of Stephanie’s Restaurant Group will join forces under one umbrella organization, “Sidell Hospitality” unifying all restaurants including two locations on Boston’s Newbury Street. The pair said the namesake is extremely meaningful to them as it highlights both the family name and their Father Jack Sidell’s legacy, who financed and launched the careers of many chefs such as Todd English and Jasper White. Kathy Sidell of the Met Restaurant Group and Sister Stephanie Sokolov of Stephanie’s Restaurant Group join forces to create Sidell Hospitality. The move will assimilate both brands under one organization including Sokolove’s Stephanie’s restaurants in Boston’s Back Bay, South End and South Boston and Sidell’s (5) restaurants including: Met Back Bay in Boston, MA, Met Bar & Grill located in Dedham, MA and Natick, MA, Met on Main in Nantucket, MA and the award-winning Saltie Girl. “While we’ve operated separate restaurants we’ve always hoped we’d work together in one way or another,” said Sokolove. All restaurants will continue to operate under their given names though several changes will be implemented. “2018 will bring several dynamic changes to the organization and I’m beyond pleased to be working with my sister,” said Sidell. While it will be business as usual for customers, shared hospitality teams and strategic augmentation portfolio-wide are part of the new plans structure. The United States Bartenders’ Guild is hosting a national cocktail contest, sponsored by Lucid Absinthe Supérieure, to find the next Cocktail Classique Champion. Once a core ingredient in most classic cocktails, absinthe was banned in the United States for 95 years. Following efforts by research scientist turned distiller T.A. Breaux, the ban was repealed in 2007, and Lucid Absinthe Supérieure became the first authentic absinthe to be legally sold in the U.S. 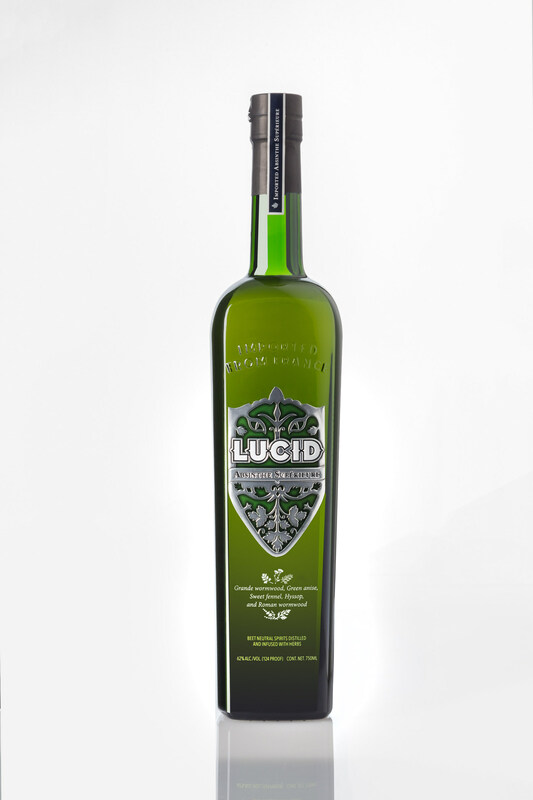 Interested applicants should create a unique recipe using at least one-half ounce of Lucid Absinthe and submit the recipe to https://usbartendersguild.formstack.com/forms/cocktail_classique. Entries will be accepted January 15 through February 23 at 11:59pm PDT. The field of entries will be evaluated by a panel of USBG experts.